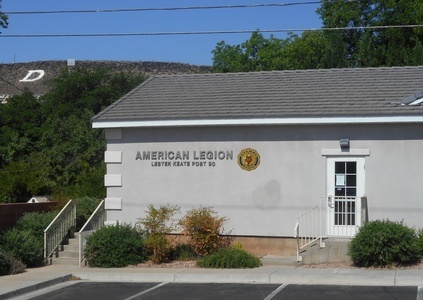 Lester Keates Post #90 of the American Legion is proud to be a patriotic veterans organization devoted to mutual helpfulness. They consistently commit themselves to the mentoring and sponsorship of youth programs, advocating patriotism and honor. The Lester Keates Post offers and participates in many local programs and activities to strengthen their commitment to each other and the people they serve. They work hard to maintain one of the finest military honor guards in the state of Utah, striving to offer the highest quality military honors capable of achieving on behalf of their fellow deceased veterans and their loving families. As the oldest veteran?s organization in Utah, the success of Post #90 is dependent upon active membership, participation and volunteerism. The organization belongs to the people it serves and our community in which we thrive.